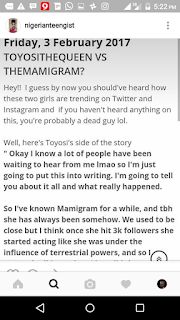 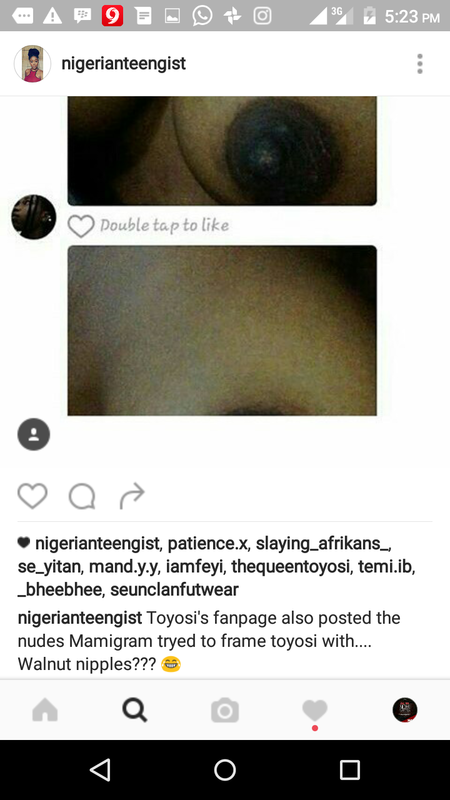 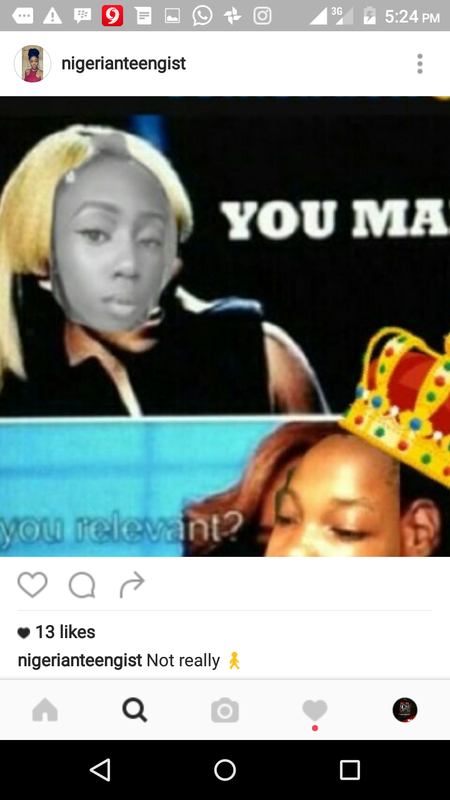 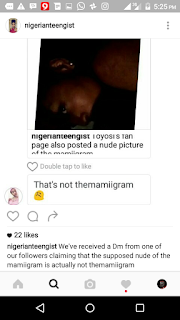 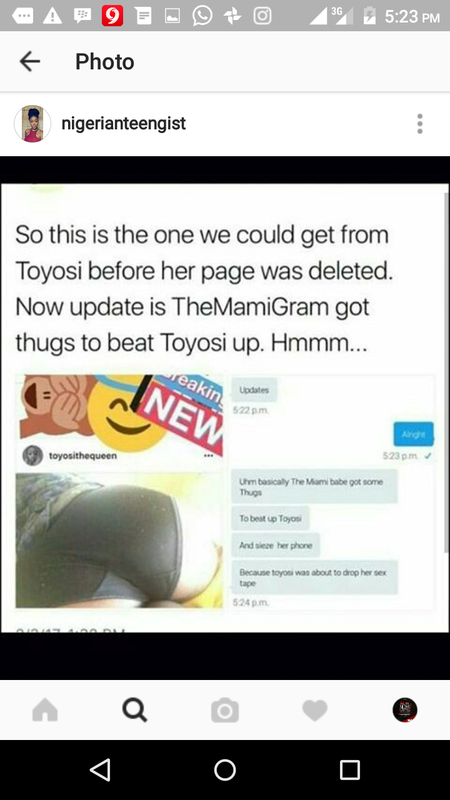 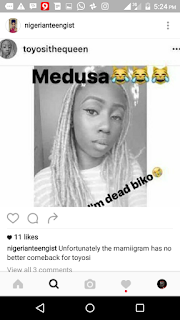 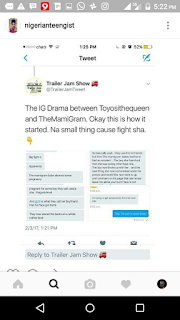 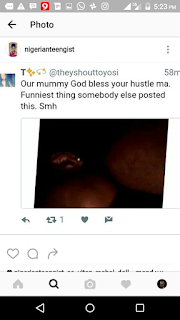 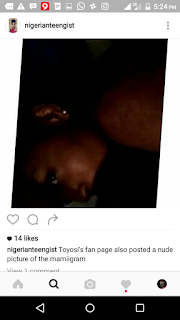 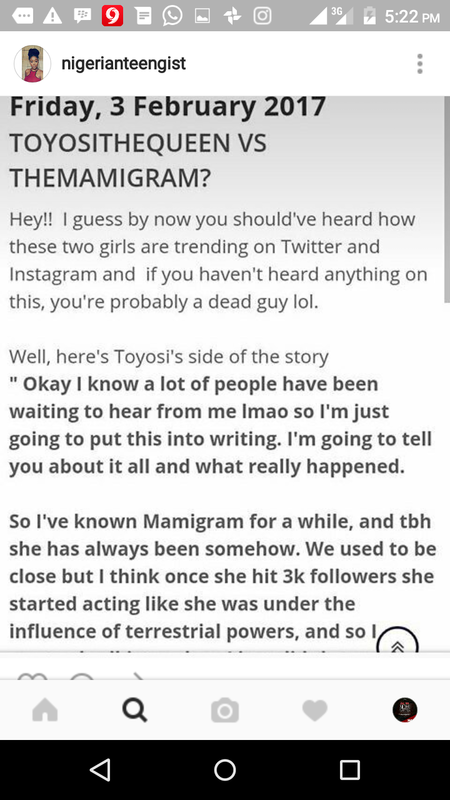 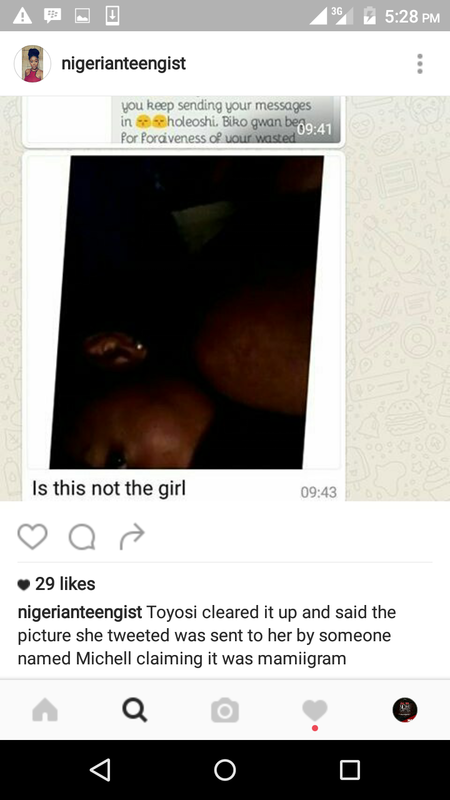 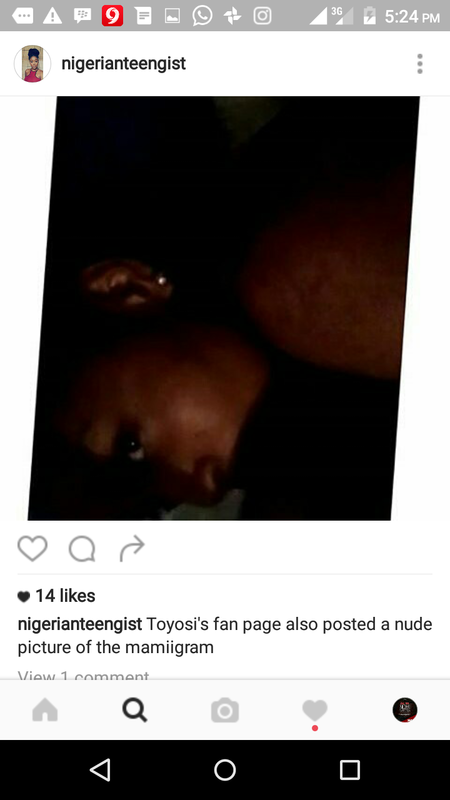 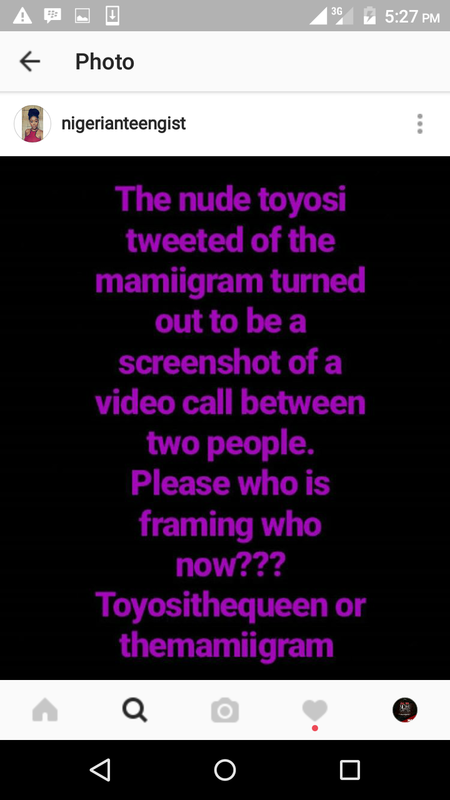 Two teenagers, Stephanie @themamiigram and Toyosi @thequeentoyosi expose themselves on IG. 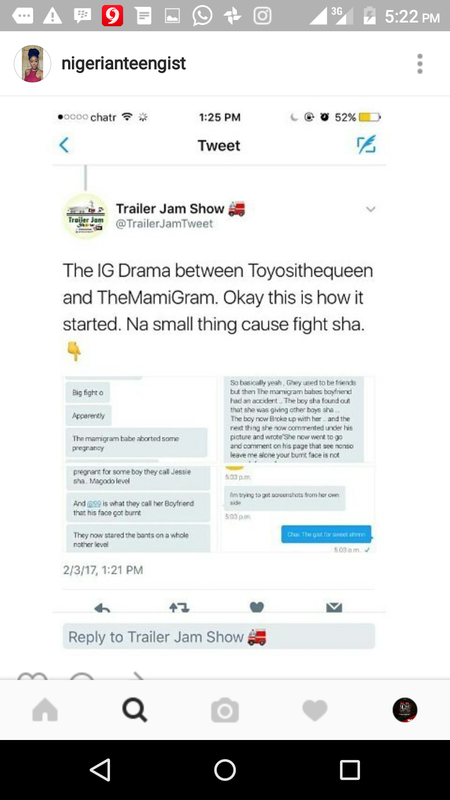 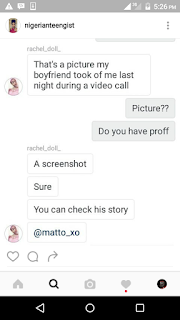 According to reports, a rude comment caused the fight between the two of them. 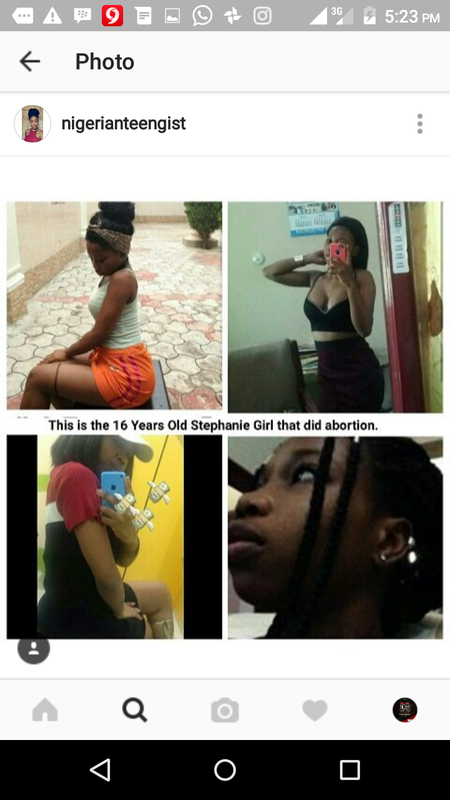 Toyosi @thequeentoyosi exposed Stephanie @themamiigram secrets by telling the World people, She had an abortion at 16. 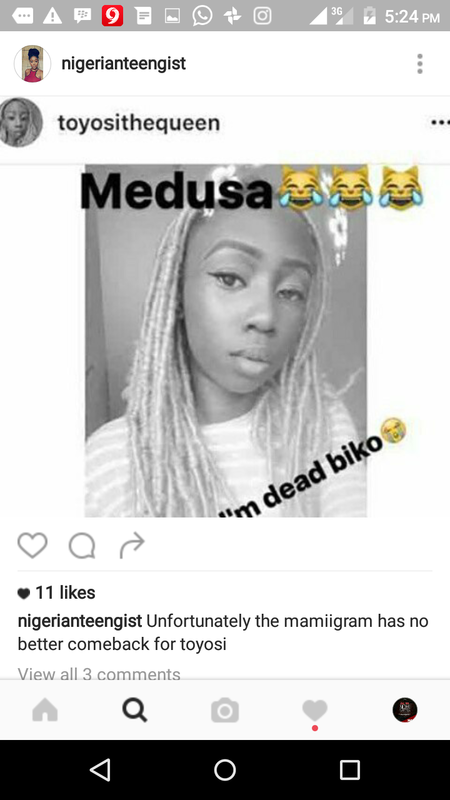 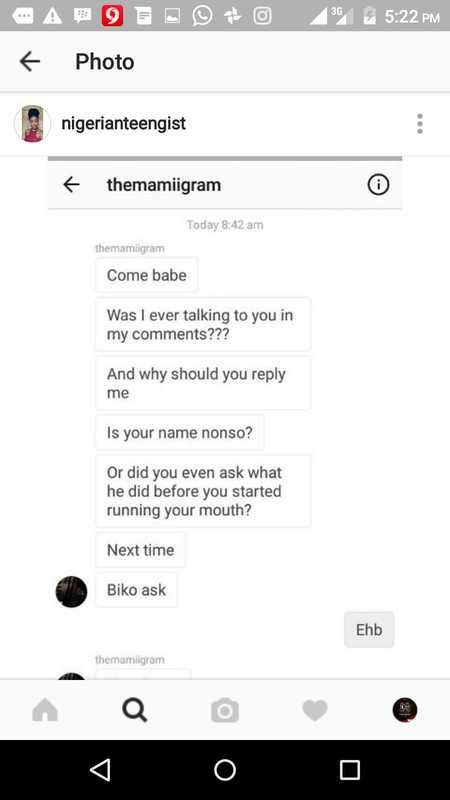 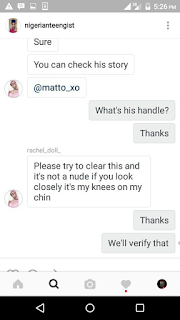 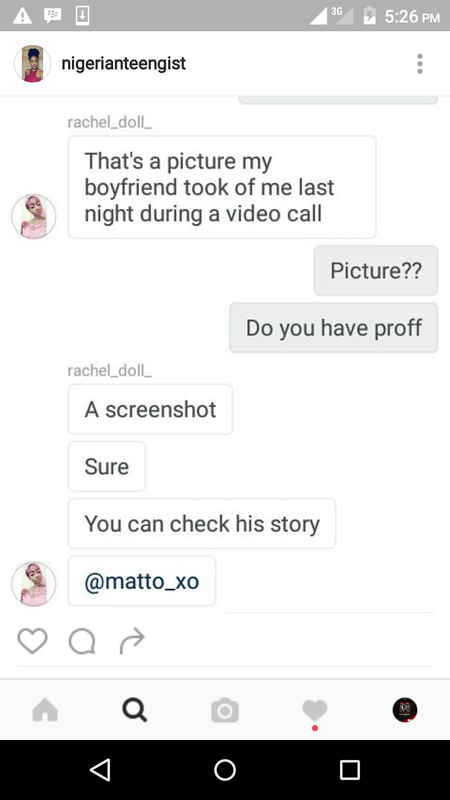 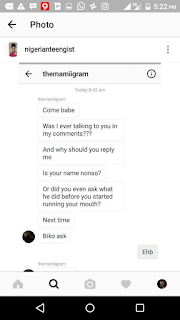 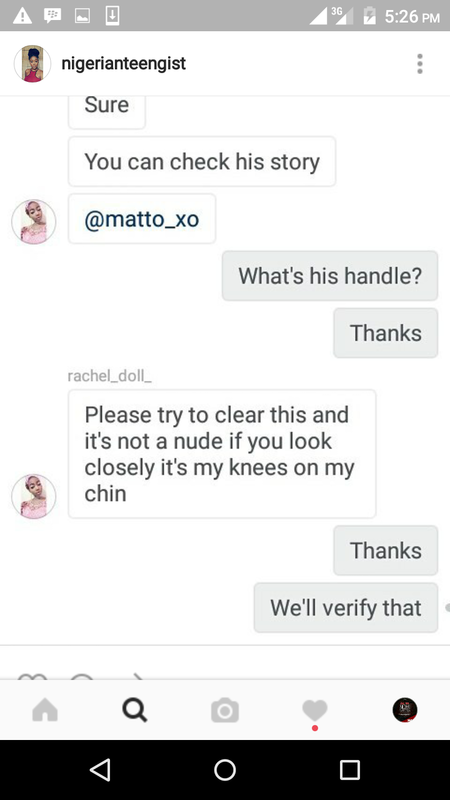 When IG Follower @nigerianteengist asked her if she really did have an abortion at 16. 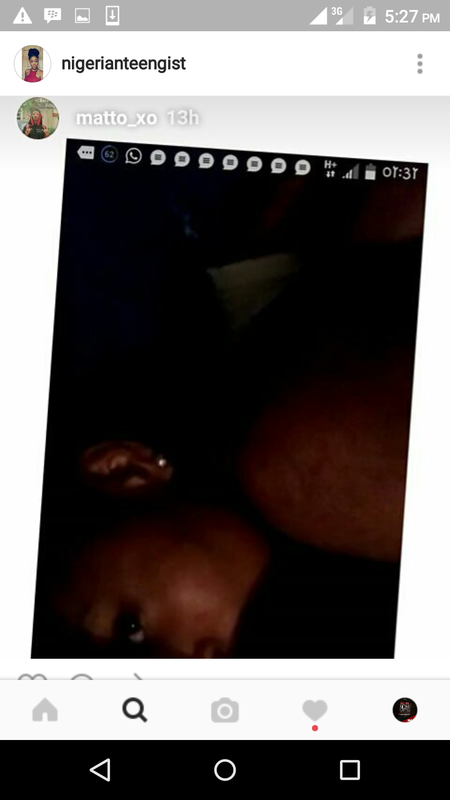 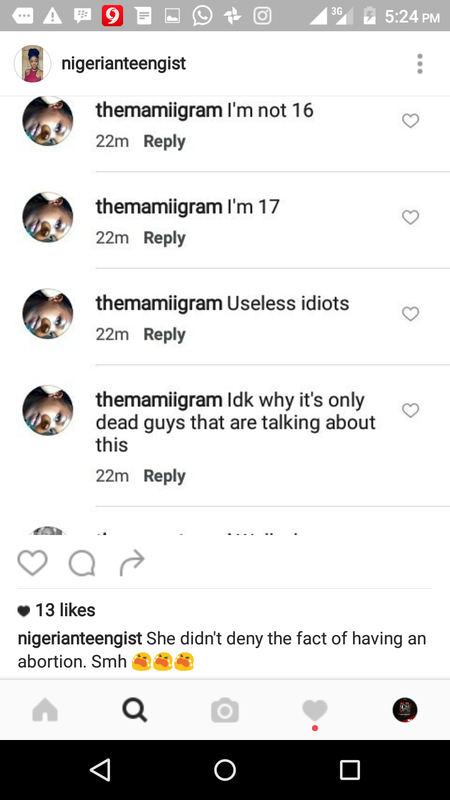 She said "I'm not 16, I'm 17. 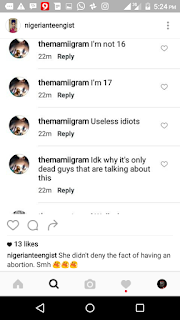 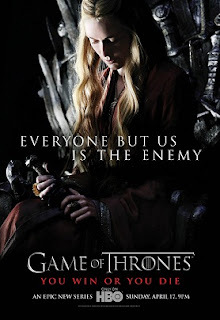 Useless idiots. 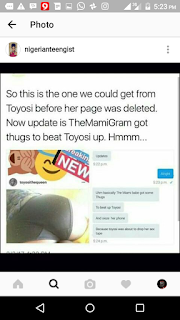 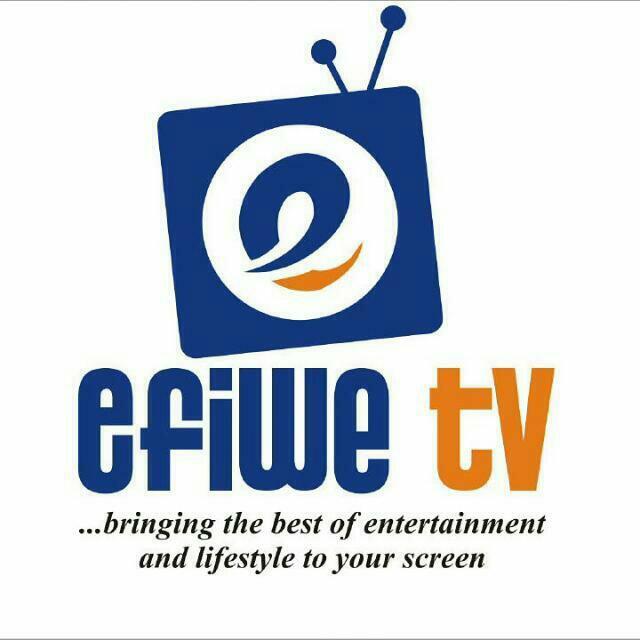 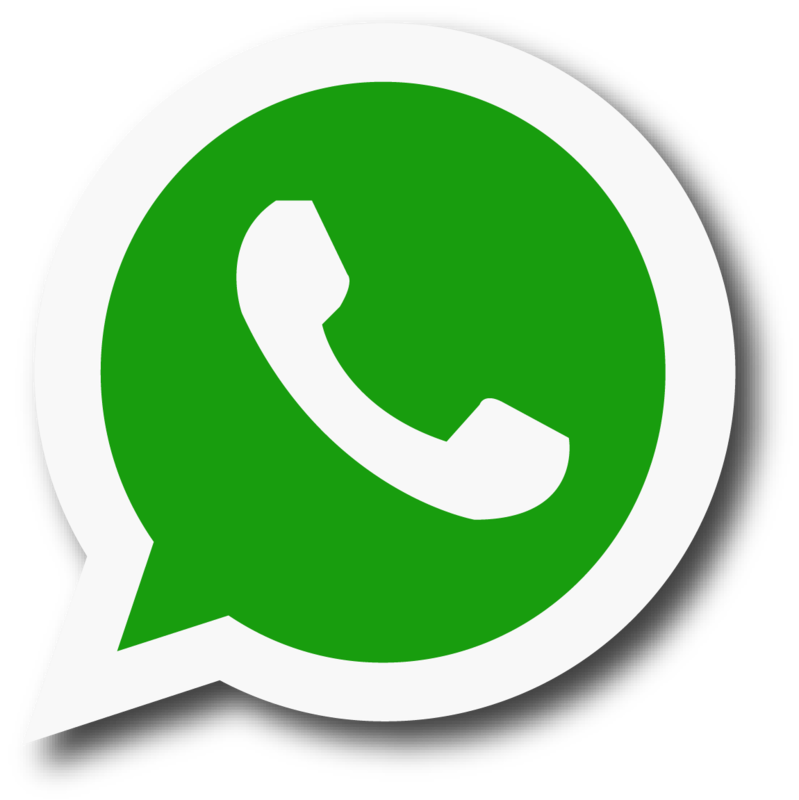 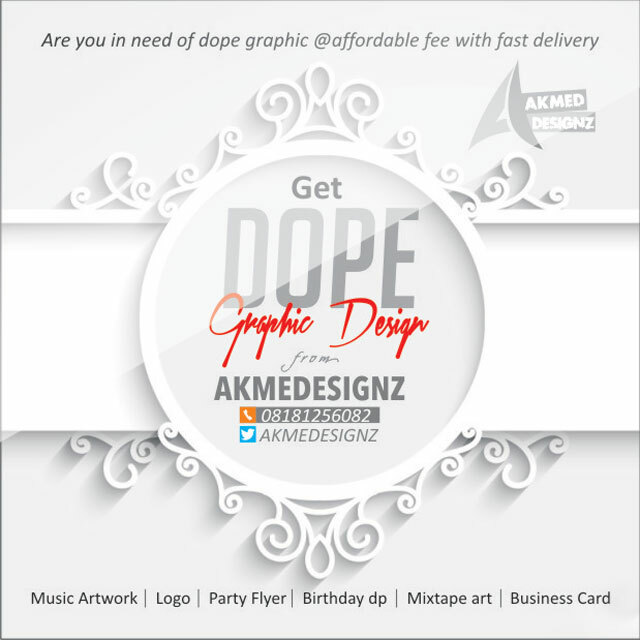 I don't know why its not dead guys that are talking about this"